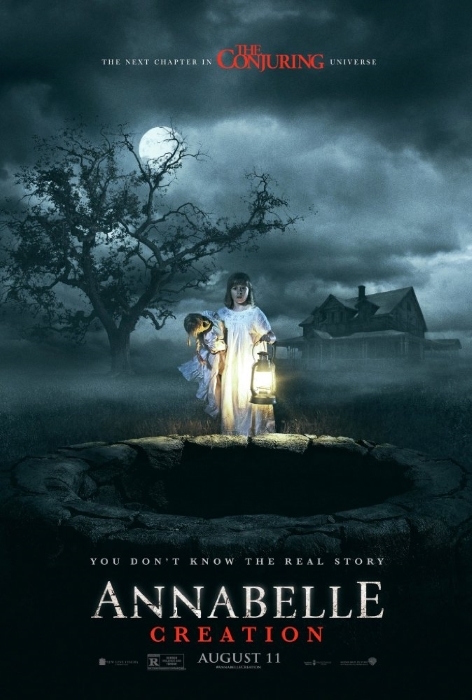 Annabelle Creation is a prequel to Annabelle, which itself is a prequel that spun-off from Conjuring 2, the sequel to the original film, which was based (as are the rest of these stories) on the (claimed) true-story case files of exorcists Ed and Lorraine Warren. 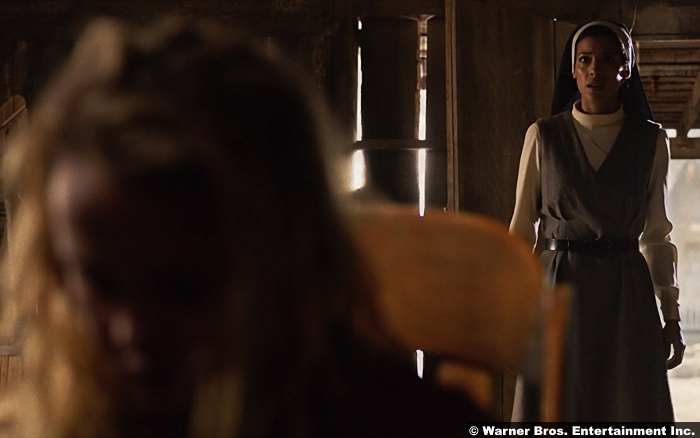 And if you enjoy Annabelle, buckle-up because future spin-offs are coming, based off Valak (the psycho killer nun from Conjuring 2) and Crooked Man (the lanky creepy demon-form of the main antagonist of Conjuring 2). Presumably there will be a Conjuring 3 as well, assuming Warner Bros. has worked out the legal hurdles that have recently arisen. Gerald Brittle, who authored a 1980 book about the Warrens (“The Demonologist”), sued Warner Bros. back in March, claiming that he held an exclusive deal with the Warrens for all adaptations based on their case files and that WB was profiting off of the material he owned the rights to. Warners claims that since the Warrens’ stories are based on true events, they’re free to be adapted. Brittle countered by saying the Warrens’ stories are fabrications and that he owns the rights to them. 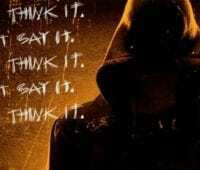 So WB may end up having to prove that ghosts are real in order to keep making these movies? Is that the take-away? In the meantime Warners is milking the Warren’s case-files for all their worth, and Annabelle is one of the more famous entries. The demon doll is an easy sell for horror junkies; who among us hasn’t sworn that “that one doll over there” was following them with its eyes. But let’s not wade too deeply into the waters of “are ghosts/demons/whatever real” because I’ve got my poor wife convinced ghosts are real and are coming for her and she reads the site. If you want a scientific discussion on the subject, I’d direct you to here and call it a day. 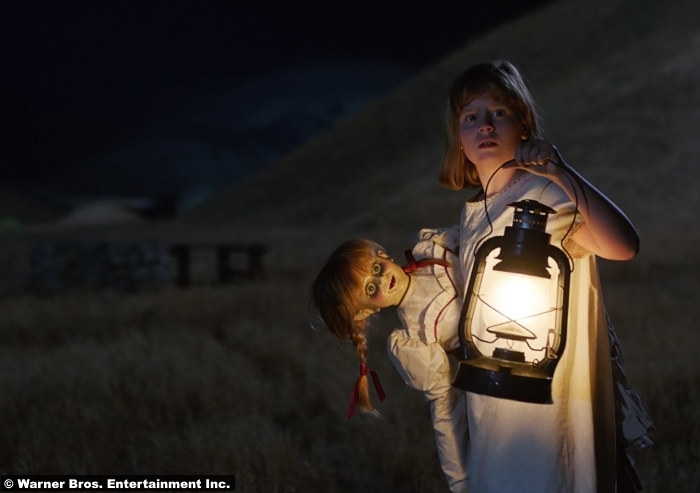 Annabelle Creation is “just a movie” however, so it doesn’t just sit back and scare its cast of characters with low frequency sound vibrations. 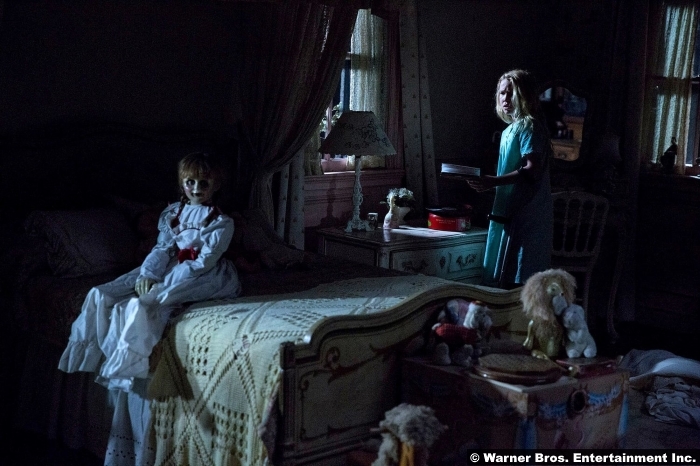 It does its scaring the old fashioned way and as a result, it shows that the Conjuring franchise—now four movies deep and growing—is a veritable mini-cinematic universe. 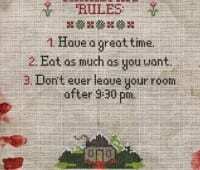 The movie presents a fictitious origin for the cursed doll, with splashes of several other horror films offered up for good measure. There’s bits of the Amityville Horror here, not because the house itself, that serves as the film’s setting, is haunted, but just in the way the demon-presence uses the house. 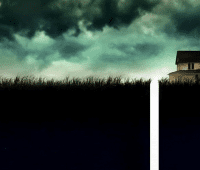 There’s a little Texas Chainsaw Massacre to be enjoyed, and even a scene or two that may remind you of The Ring. There’s a lot of material mined here, but it’s all built around the star of the show; it all goes back to that creepy doll. 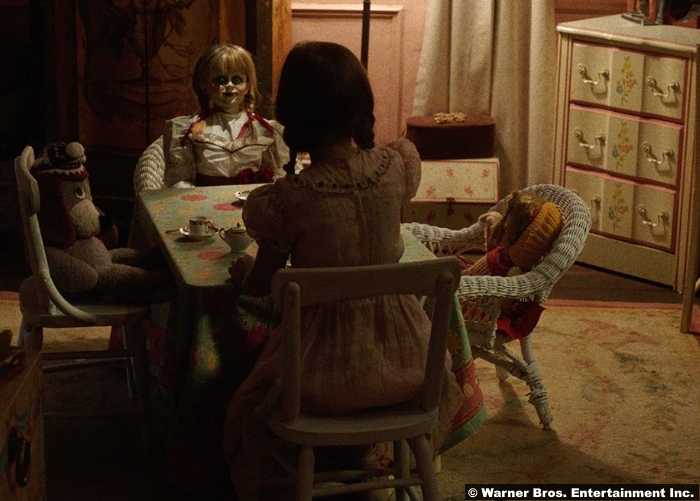 Even though the Annabelle doll does little more in the movie than rock in a rocking chair or turn its head (though you never actually see it turn its head), its presence alone will give you the willies. Which explains the choking and bloody tears. The Medium said that the spirit was formerly a girl named Annabelle Higgins, who had died in their home at the age of seven. Feeling sympathy (and also very very stupid) the family agreed to let the spirit formally inhabit the doll. Because apparently they need to be invited in, like the vampires in Buffy. Well as you can guess, it turns out the spirit was totes lying about pretty much all the stuff it said, and things only got worse for the family. The Warrens were soon brought in and they managed to sedate the demonic presence that was attached to the doll with a cocktail of “holy water and vicodin….hold the vicodin.” To this day the doll resides inside a glass display case in the Warrens home, where the exorcists have a warning sign that the case should never be opened nor even touched. Good thing glass is not like super breakable, am I right? What makes the “real life” account of Annabelle so creepy is that the doll in question is just a generic Raggedy Ann; my sister had one of those growing up. My friends’ sisters had them too. Everyone had one. And they all look alike. Any one of them could be possessed by the demon Nosafartu or whatever and we’d never know. 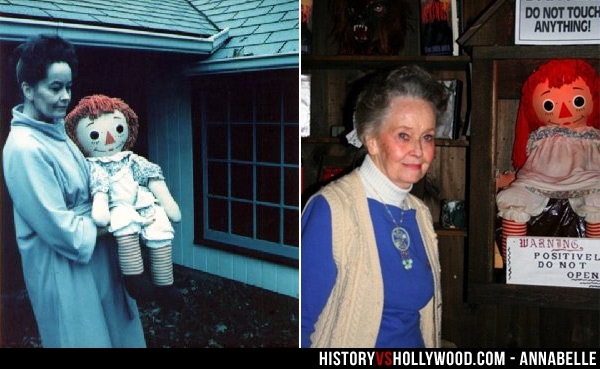 The doll as depicted in the films is not generic Raggedy Ann, however, but instead has a very particular look. A terrifying look that stares directly into the soul it wants to eat. The movie is paced well for it’s almost-two hour run-time. 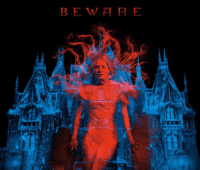 Some may find it slow, and it does take a little longer than most horror films to get to the scares, but those early world-building scenes are well shot and do a great job sowing seeds for scares to be reaped as the film progresses. 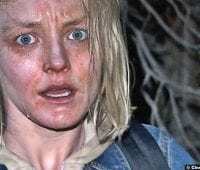 You’ll see things being lingered over and you’ll say “oh that’s going to come back into play…” and even though you’ll be right on the money it’ll still bring the scares simply on account of the film’s good direction. 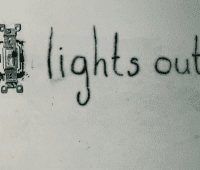 David Sandberg, who recently impressed with Lights Out helms the picture, and uses some of that movie’s bag of tricks to conjure up some scares (including a nice use of reflective eyes in a darkened room that brings about the movie’s best fright). He also copies a technique that Insidious 3 used effectively: Disabling one of the main characters to make them easier prey. It was always an eye-rolling moment when, in classic horror films, the main character runs from the slow-stalking monster, only to trip over nothing and suddenly start crawling along the floor. Starting a good guy out with a handicap is all the better, because you know from the outset that, when the poop hits the fan, they’re going to be an easy target. 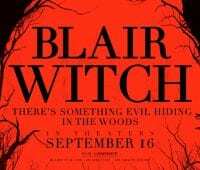 There’s a lot to like in this movie, and even though it does very few new things, it does the old recipe right with a good balance of light-hearted thrills and genuine moments of terror. If Warner Bros wants to turn this into a vast, inter-connected horror universe, this movie proves they’re on the right track. 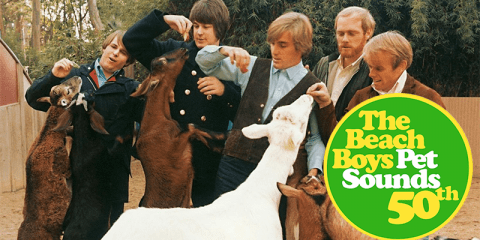 8/10 – Solid. It’s not going to knock your socks off, but there’s not a single moment where hokey writing or bad direction derail it. Bring on the psycho nun movie! Review: Rings is equal parts frightless and frustrating.